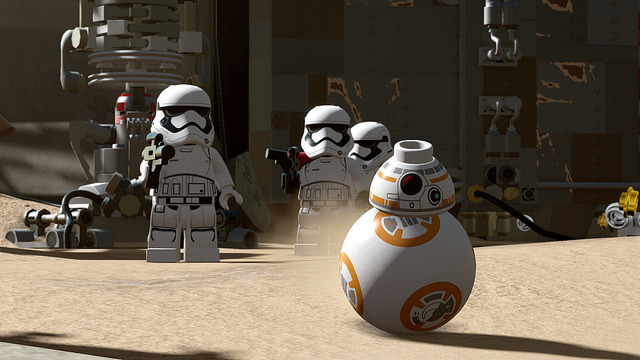 A complete video walkthrough for LEGO Star Wars: The Force Awakens. The newest LEGO game is now out, and it lets players explore the world of the newest Star Wars movie in all of LEGO’s chunky, blocky glory. LEGO Star Wars: The Force Awakens promises to be a compelling experience for families, as well as for anyone who is a fan of either Star Wars or the LEGO games. But you know, for games aimed primarily at kids, the LEGO games can be brutal in their complexity, and in the sheer wealth of options that they present a player with. That’s where we come in- there’s no shame if you find yourself stuck in LEGO Star Wars: The Force Awakens, and if you do, we’re here to help you with this video walkthrough. Just remember, the walkthrough will almost certainly have spoilers, so if you would rather go into the game blind, without having any of it spoiled for you, you should probably stay away from it.